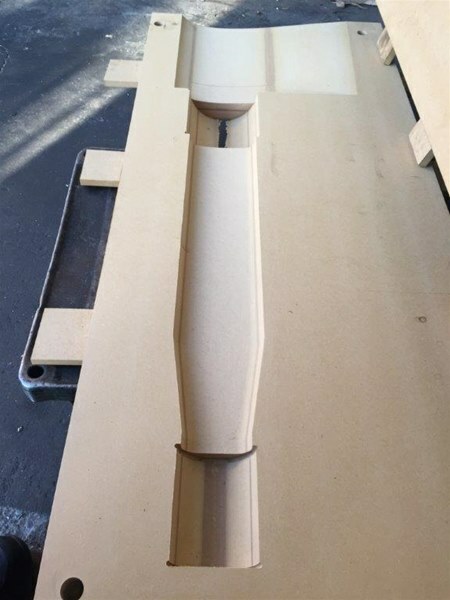 As mentioned in our last news post we are manufacturing a new cylinder barrel for the super maxi racing yacht Scallywag. 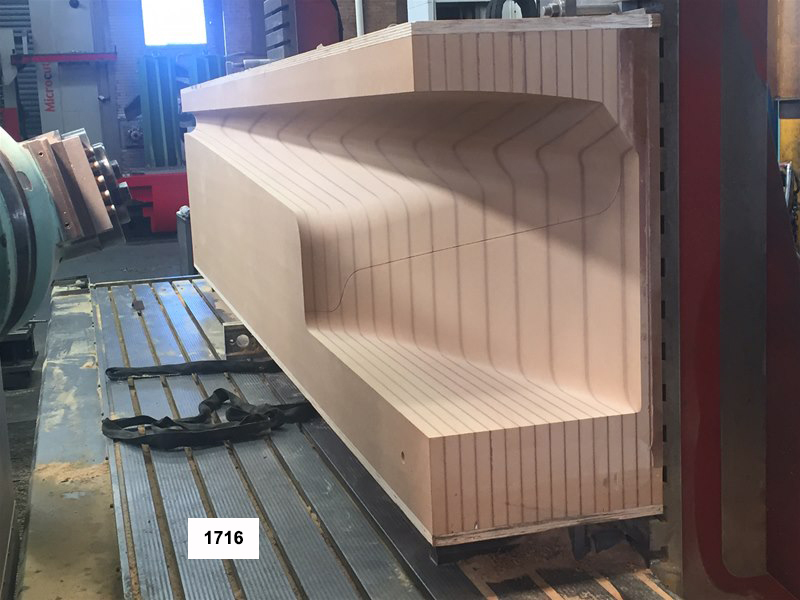 A project that is nearly complete is a billet, high tensile, fully CNC machined custom canting keel to suit a social racing yacht approx. 40 ft in length. 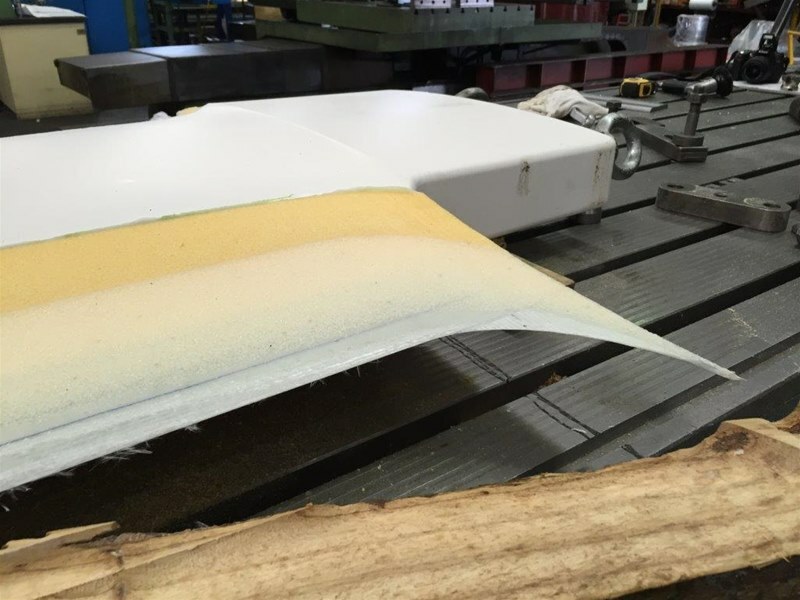 This keel / fin is slightly out of the ordinary with the way the force from the hydraulic ram is transferred to the fin body to swing it from side to side (Port to Starboard) Details of this will be posted in the near future. Summer is on its way and our team are doing all possible to ensure all of the boats we are involved with are on the water and making the most of the weather. On Sunday Scallywag (Ex Ragamuffin) Super Maxi racing Yacht had a failure with its hydraulic canting cylinder. They were on course to the Gold Coast in full race mode side by side with Wild Oats.The failure forced them to pull out of the race. 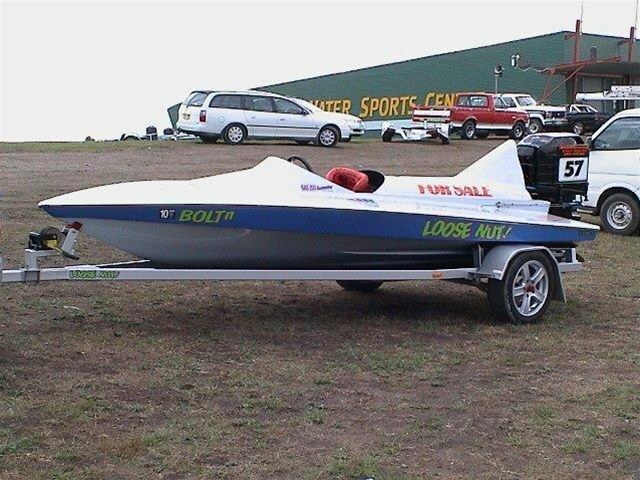 Having entered in the Audi Hamilton Island Race week later this month they are in desperate need of a replacement. 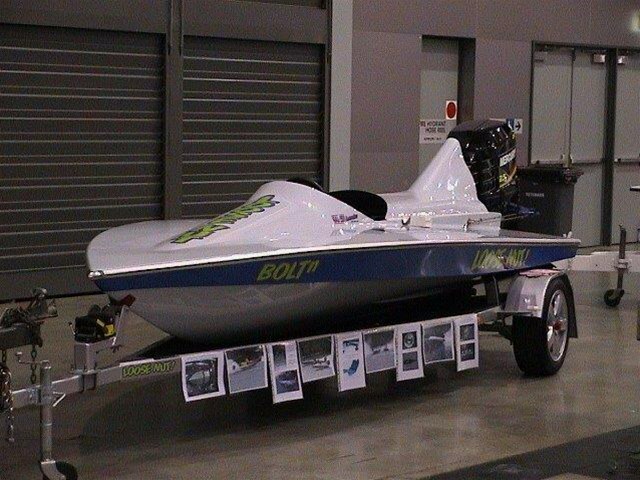 They came straight to Williamson Engineering to see what we could do to get them back on the water. We have come up with a plan that we feel gives them the best chance of them making the race. Working closely with the Skipper 'David Witt', the naval architect 'Andrew Dovell' and 'Greg Waters'. We are looking forward to the challenge and will keep the web page updated with the progress. 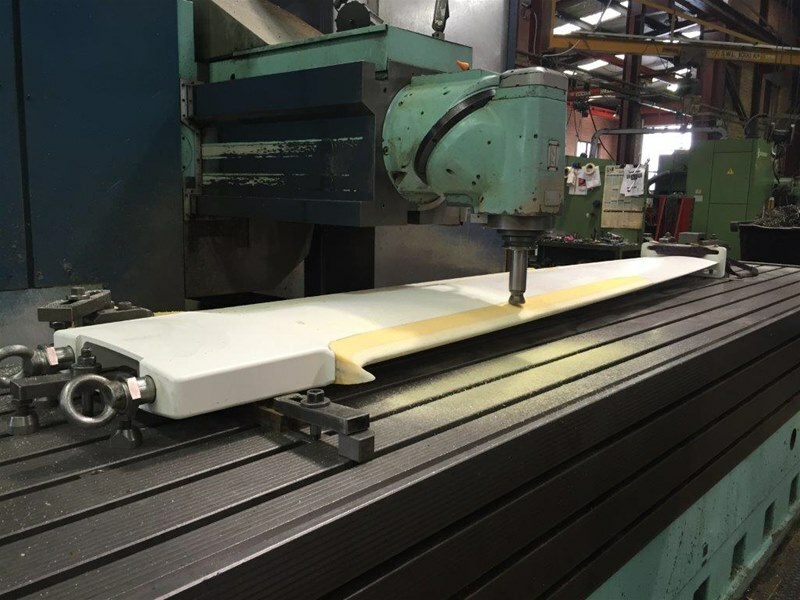 We currently have other jobs for the marine industry in progress including a new keel, a new lead bulb and various moulds up to 5000mm x 1200mm. 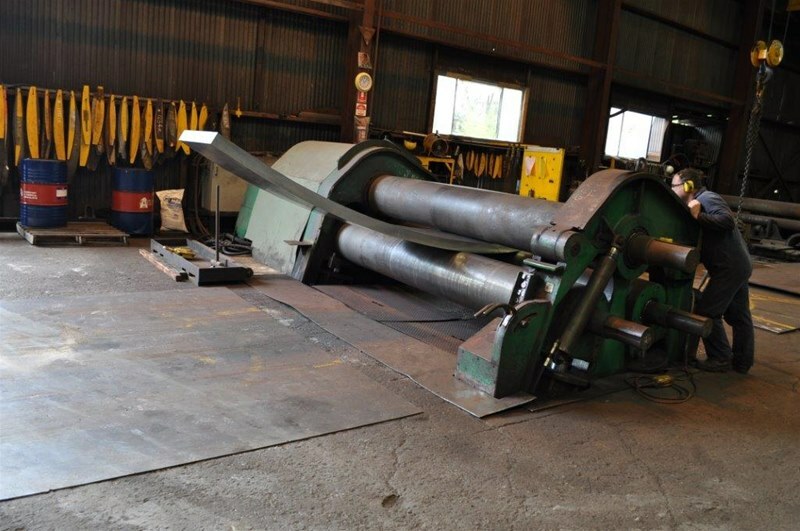 The largest mould being for a custom bow spit. We have just completed part of an overhaul on a Navy ship that required us to work around the clock. We had to ensure there we no hold ups and the ship was not delayed in going back in the water. 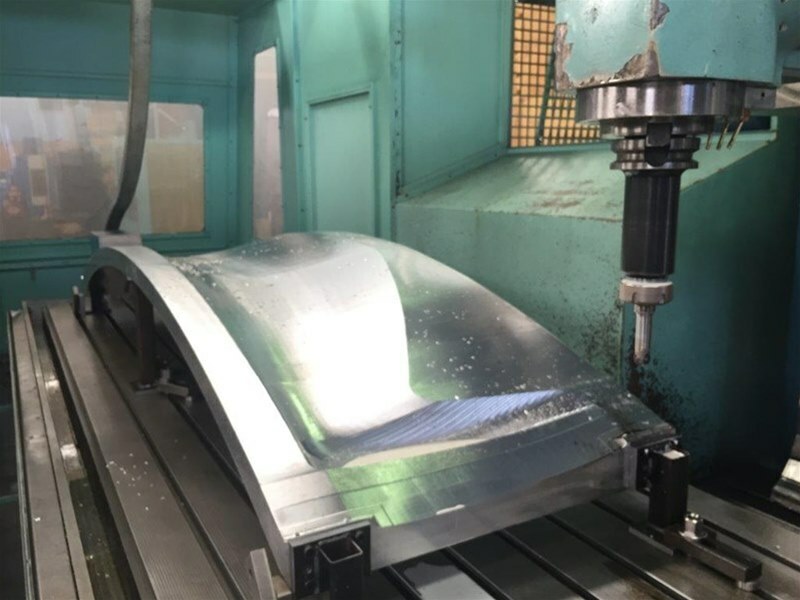 The surface finish requirements and tight tolerances were not something we would normally expect to see on a 6000 plus KG fabricated part. 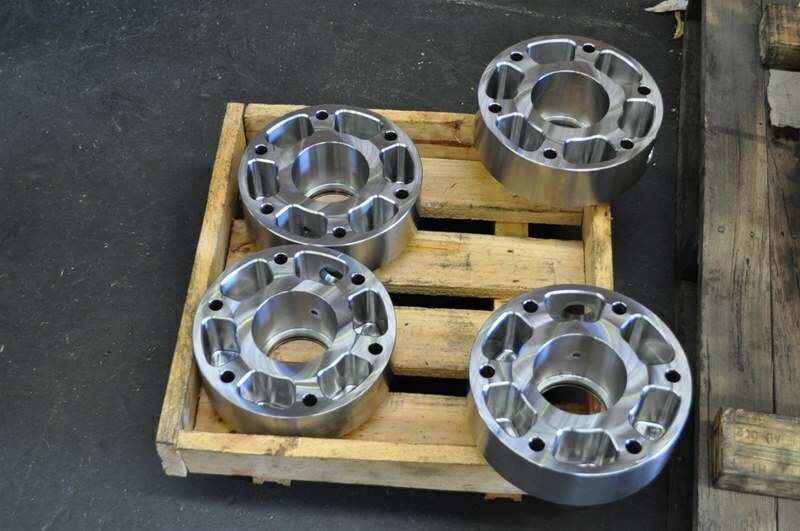 To ensure we met customers’ requirements and expectations we used our portable CMM (Coordinate Measuring Machine) to check the finished dias for size, roundness and concentricity. All of the specifications were met within the limited timeframe and in the end we had another happy customer. Working under pressure is something that we have learnt to deal with and are good at. 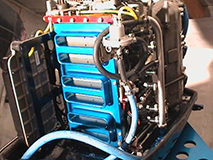 Recently we have been doing a more work for the marine industry. Some of the work has included making complete Keels and Bulbs. We have also been modifying keels and bulbs trying to help improve a boats performance The feedback to date suggests the results are better than expected. 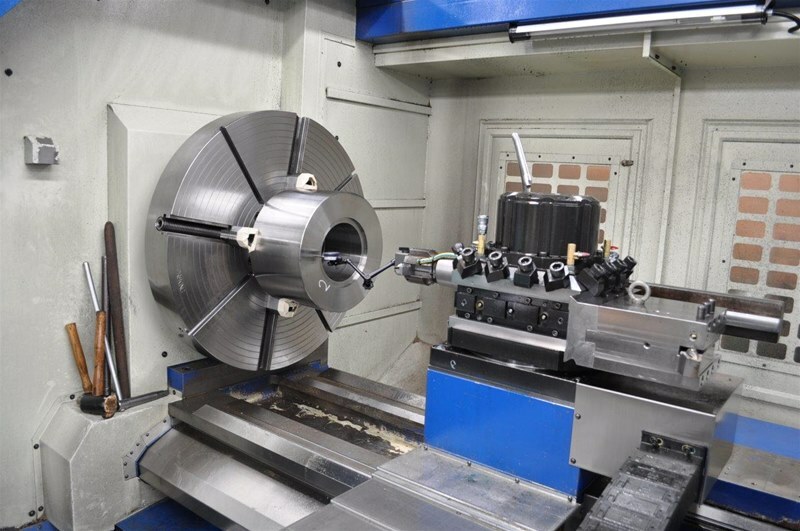 Composite machining has also become quite frequent. 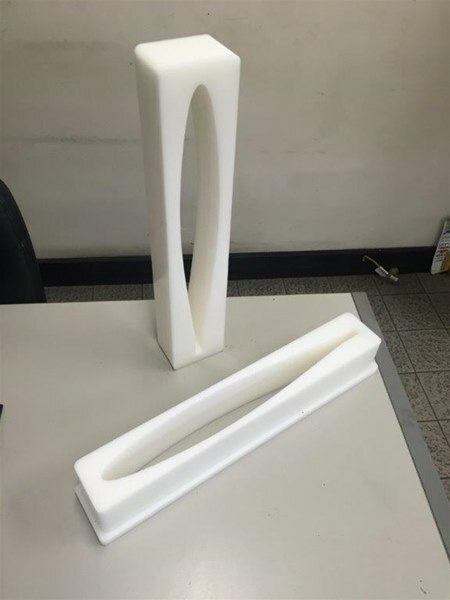 Machining various types of composite materials to customers specifications. The result being a very accurate component that is as efficient as designed. 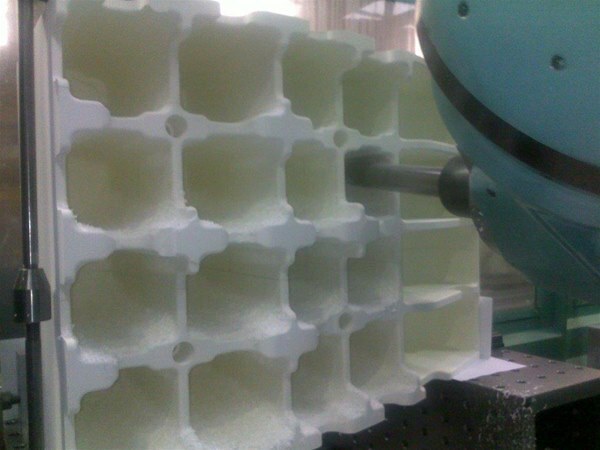 It is quite common for us to machine moulds from a range of materials such as aluminium, MDF, foam and fibreglass. 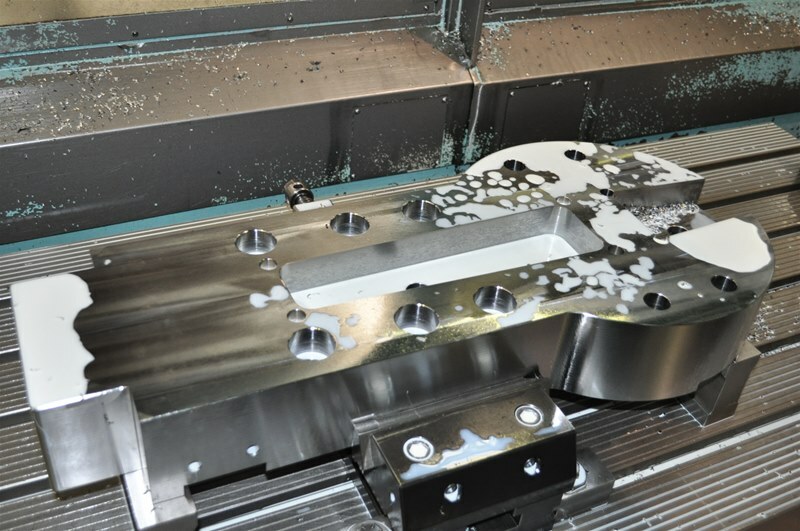 If you have any 3D machining requirements in any type of material give us a call. We are more than willing to help. 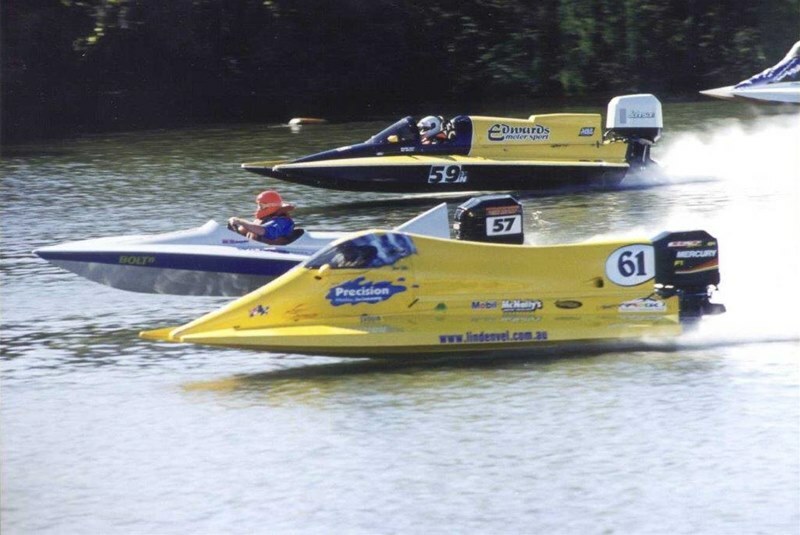 For the past few years we have been modifying and manufacturing high performance products for Formula 1 and SST 120 boats. Recently the enquiries have been increasing. 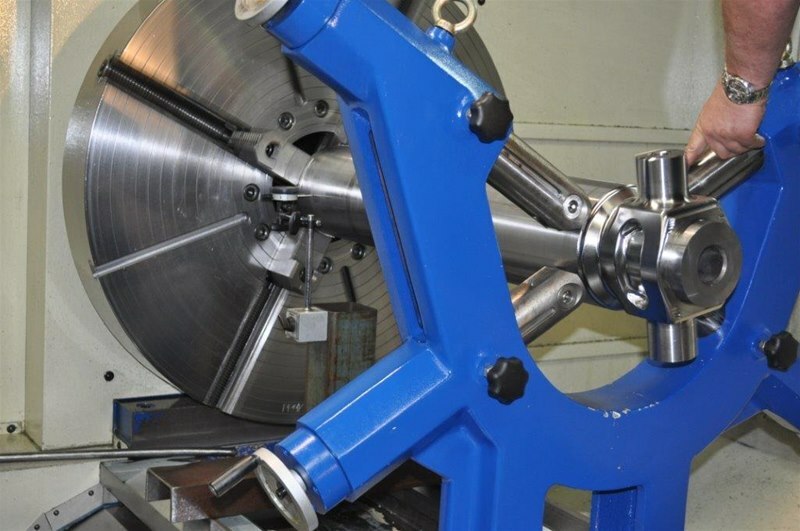 Modifying heads, porting blocks, repairing blocks, manufacturing flywheels, hubs, wings, pulleys (various types), air intakes, slide fronts, adaptors, reed cages, brackets and more. 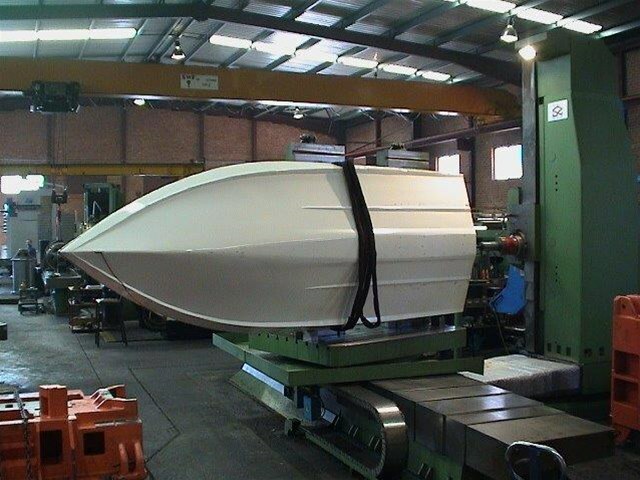 As shown in one of the photos we have even machined the bottom of a hull. 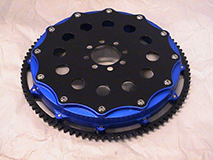 All of our customer feedback is positive and we are currently looking to design a new flywheel to suit the Mercury V6 outboards. Feel free to give us a call or send us an email with any requirements you may have. Click HERE to contact us for more information. 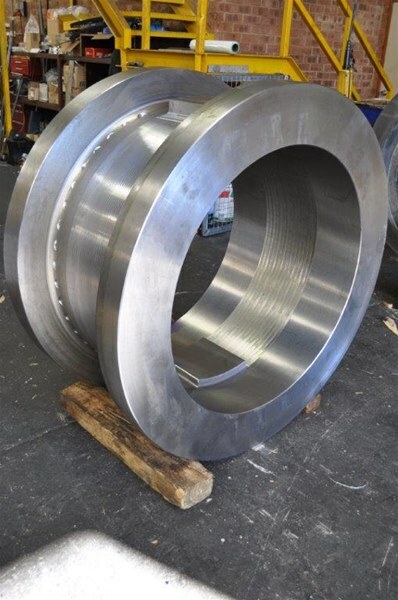 Recently Williamson Tool and Engineering completed large sections and locking rings of a 2.4m dia Autoclave. 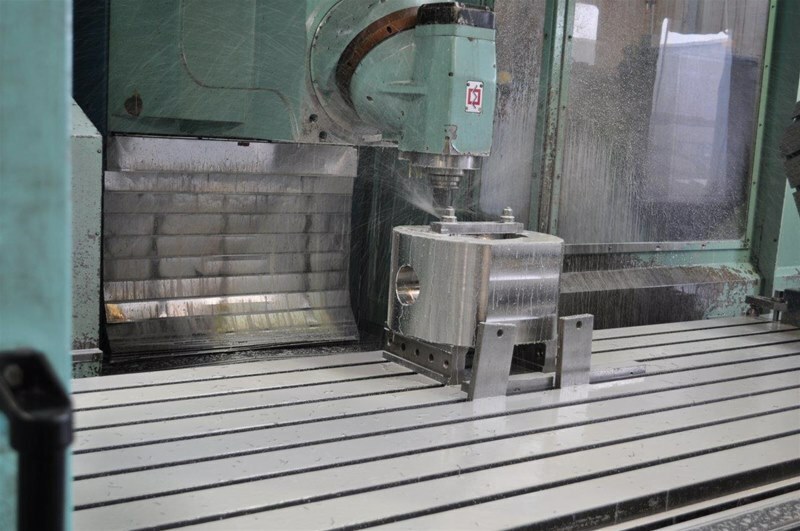 All of the pre fabrication machining was done in house on our various CNC mills and borers. 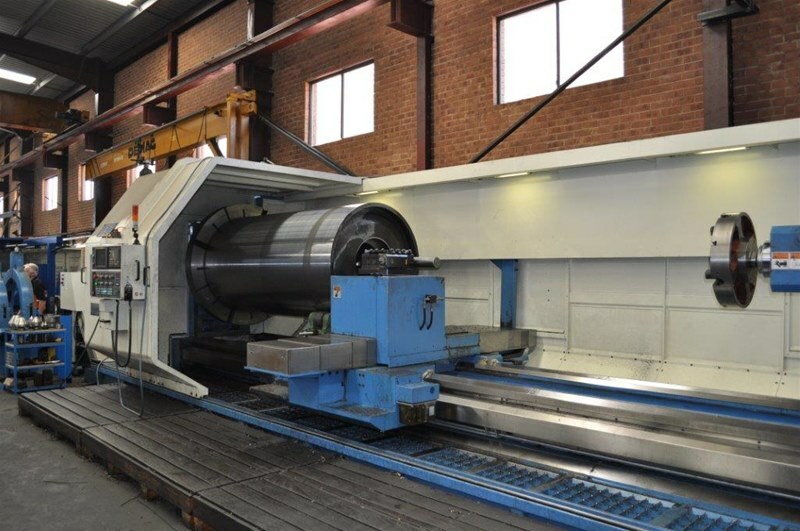 The final machining operations were done on our larger 2 borers due to the physical size of the components. The end result was another happy customer. 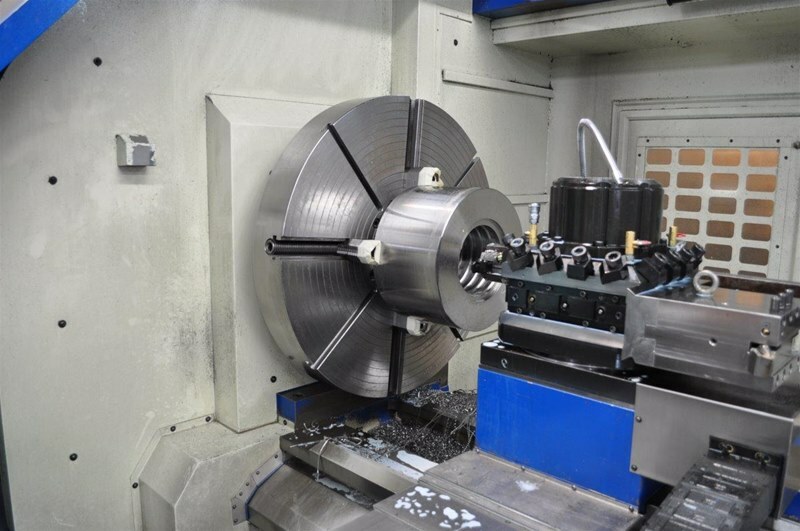 Please feel free to contact us with any machining requirements be it turning, boring, milling, drilling or grinding. 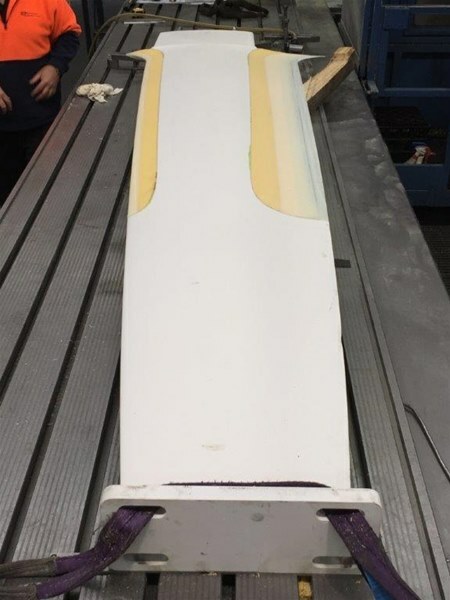 A 5m composite mono hull race boat (1750 Tunnel Deck Bullet) being checked, measured and machined to ensure optimum performance. Another example of outside the square services Williamson's are able to offer. 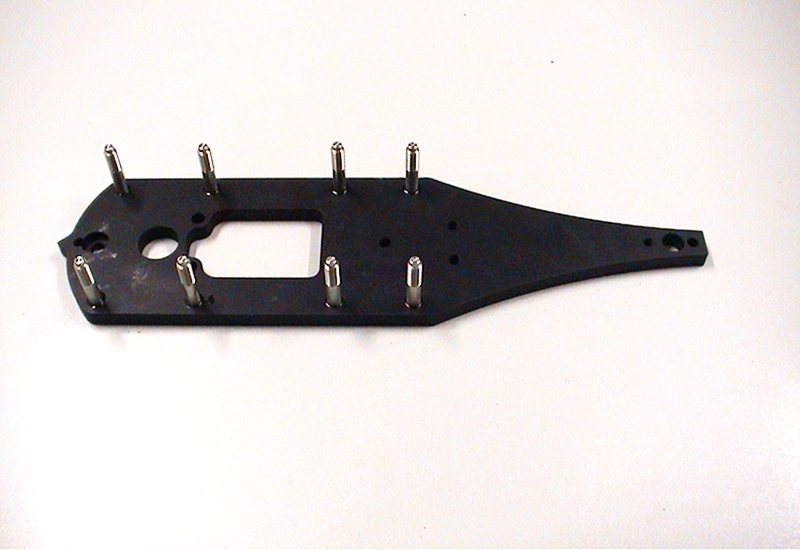 We have machined special purpose race / drag car chassis, custom motorbike frames along with various boat, motorcycle and car components. Another keel has just been completed and ready for the boat builders to finish coat and install. 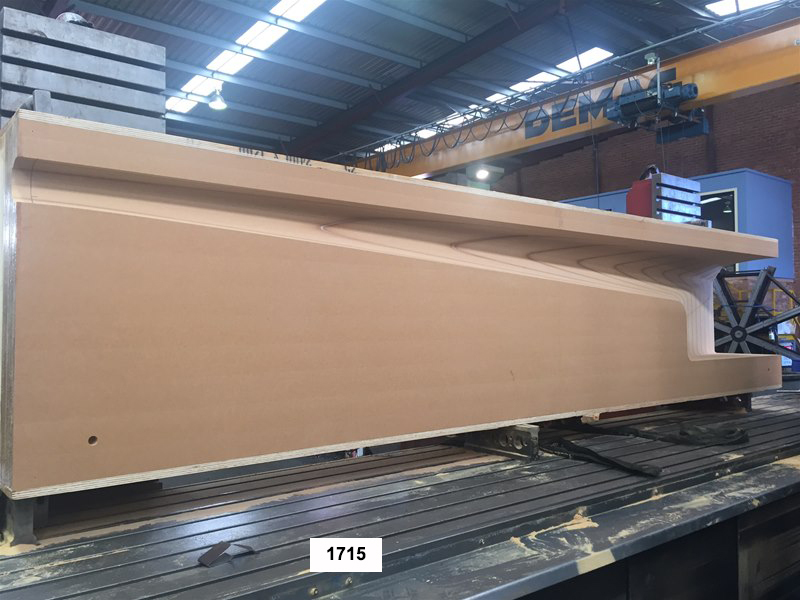 This keel was machined from a piece of high strength plate. 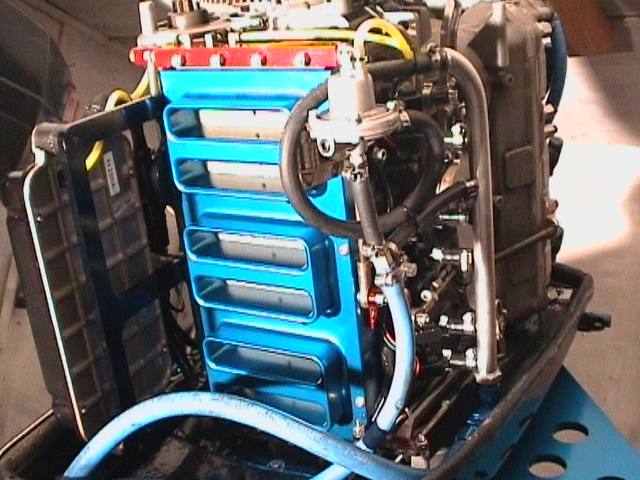 We then had it blasted and painted to marine specifications. After the painting the composite inserts were glued in with epoxy. We then set up to the finished machined and painted steel section and finished the composite section as required. The customer was very happy and greatly appreciated us getting it done in the required timeframe. Just another happy yachty leaving our factory. 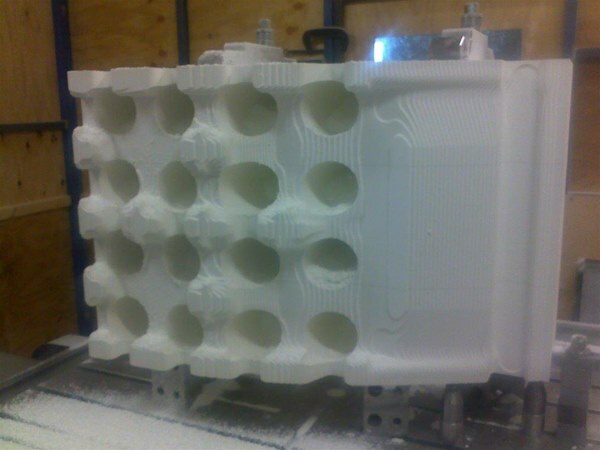 The Aluminium Moulds are going well. Both left and right hand foil moulds are well under way. With one currently being finished and the other being roughed. To reduce lead time and help ensure our customer meets his requested Dates we decided to get a second machine on the job. 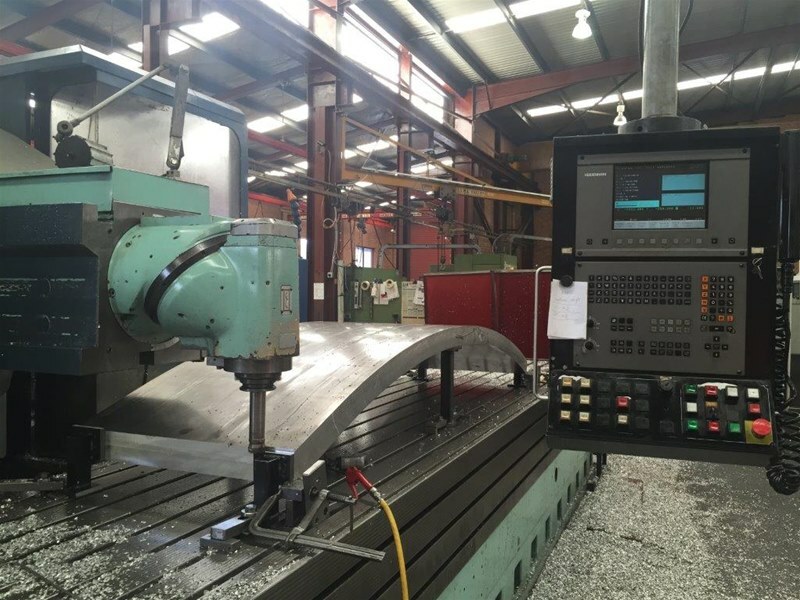 Having a number of machines capable of doing this work often gives us the ability to meet very lean lead times. Another happy customer coming up. 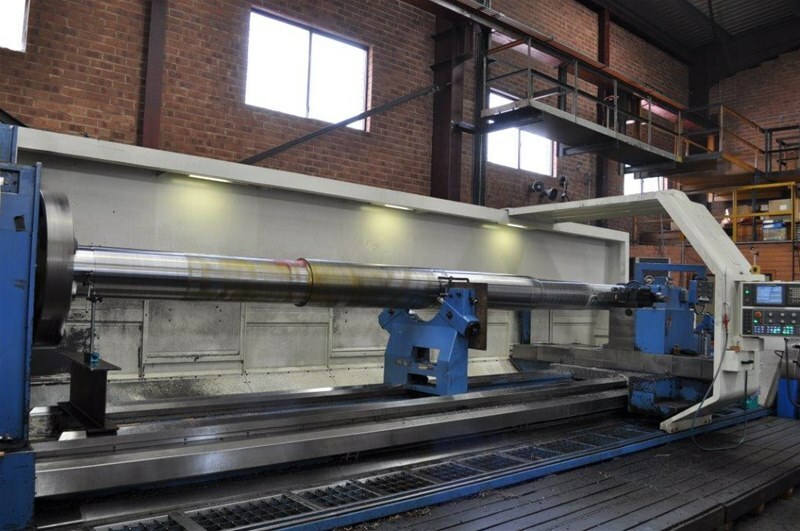 Machining a special purpose shaft that is a total of 6700mm long, in the final stages for the mining industry. 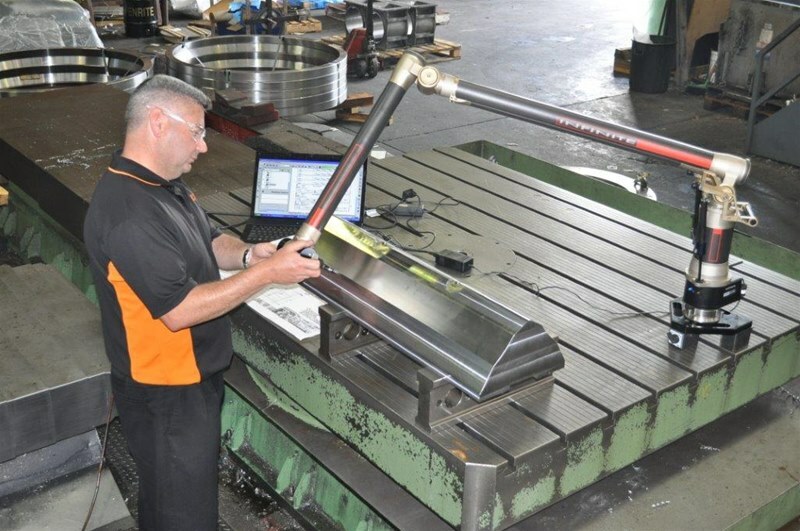 A part of meeting the customers requirements we are measuring all dimensions using our portable CMM as a final check. We are then able to produce a report that is presented to the customer giving them reassurance that the job meets the specifications as required. Just another service Williamson's offer to ensure our customers are re assured they are getting a quality product / service. 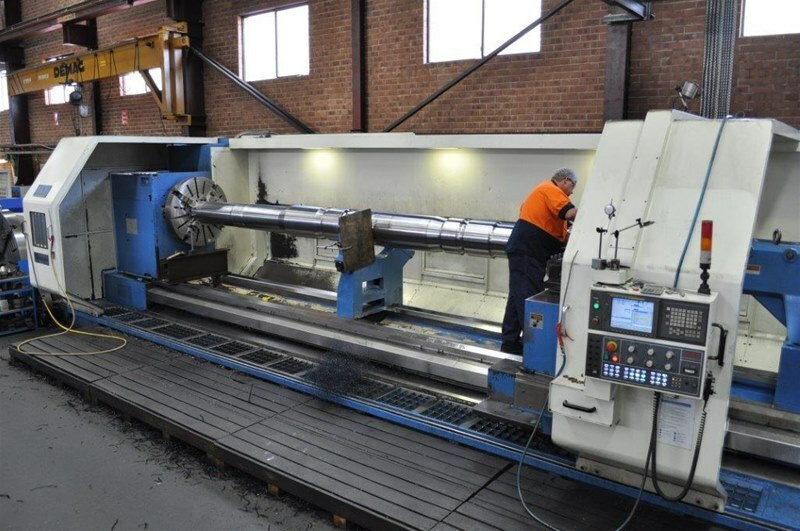 Currently in our Largest CNC Lathe we have a 6500mm long Drive shaft being machined for the mining industry. There are some very tight tolerances and fine surface finishes specified. As we are able to independently measure in the machine with our portable CMM we will not have a problem getting the diameters right. We also have a Mitutoyo Digital Surface testing machine that we are able to check the finishes to ensure they meet the specified roughness. 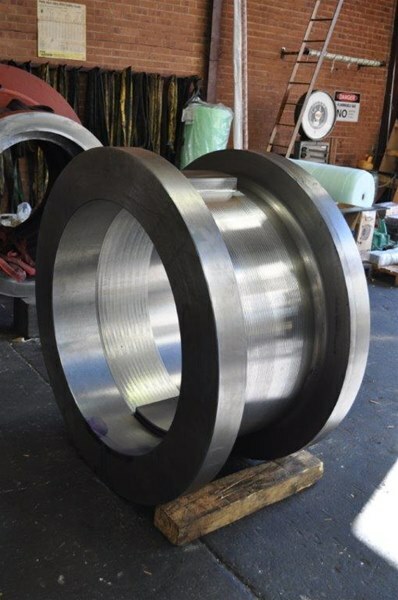 We are just completing a batch of 20 spools we are semi rough machining pre heat treatment. 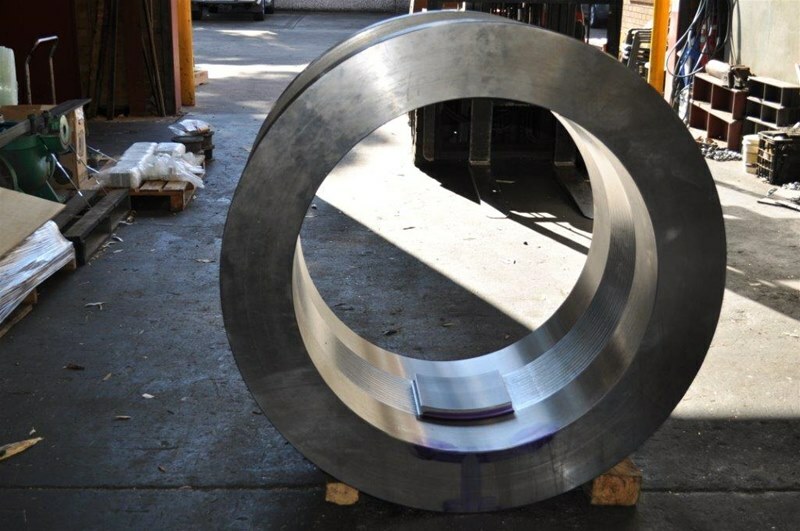 The rough turned forgings weighed approx. 2500kgs. 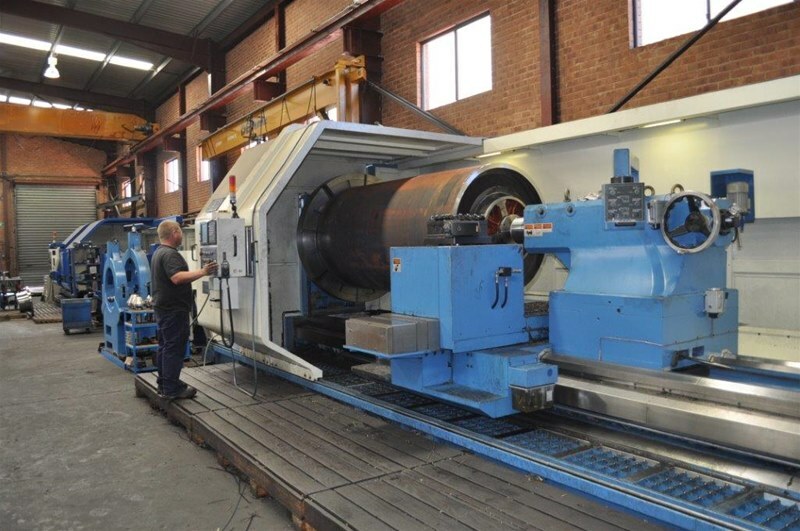 We set them up on our large CNC 4th axis to complete the first op and then on one of our horizontal bores to complete the second op. We removed approx. 480kg of material in both operations combined and are now ready to be sent off for final heat treatment. Total metal removal was approx. 9600kg on this job and our machines did it with ease. Not Long ago the team at Williamsons completed a challenging job for the Gorgon Gas project of the coast of Western Australia. 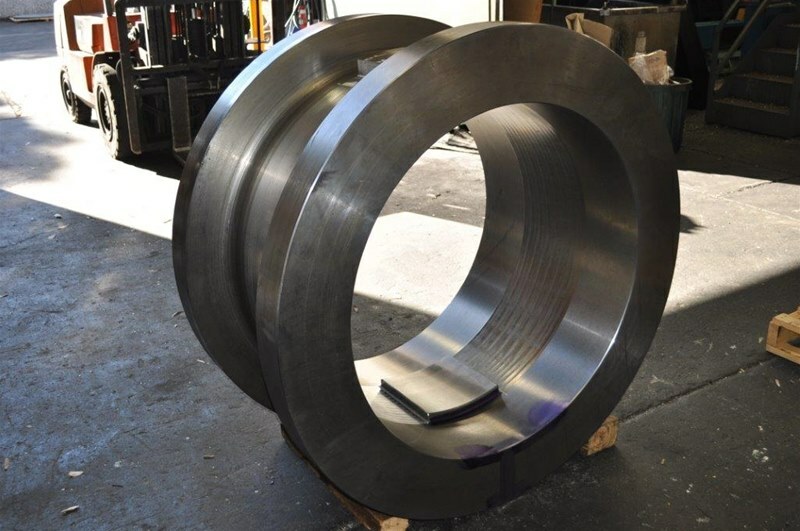 The job was made up of 4 Super Duplex Shafts and 4 Inconel Nuts, (Both Materials being very abrasive and very difficult to machine). After trialling various types of cutting tools and conditions we got things right. Not only were we required to work within fine tolerances, we had to keep the screws (Approx. 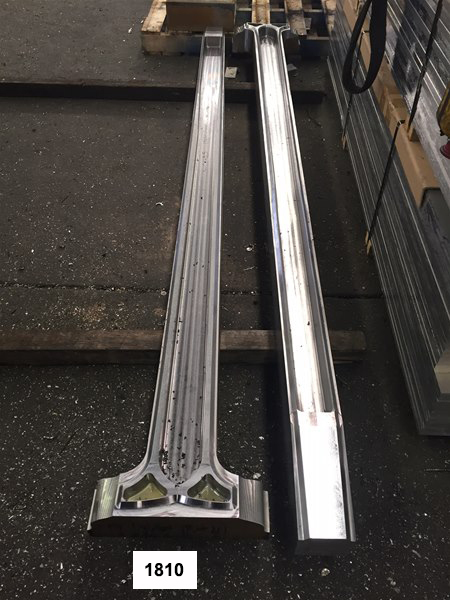 4500mm long) straight. The nuts had to be trial fit on the shafts. There was a detailed third party inspection on every item before it was packed ready for transport. 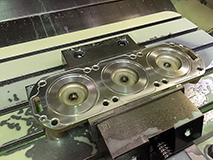 Along with the challenging machining we were also required to complete detailed Dimensional checks and Inspection and Test Records. The job was a success and the required delivery dates were met. Late in 2013 Williamson Tool and Engineering was approached by the Sydney to Hobart crew of Ragamuffin 100 (Owned by Sid Fisher) to assist with the complete upgrade of the canting keel and all of the associated parts. As the keel was removed from the boat to commence the upgrade the job grew due to other potential problems being found. 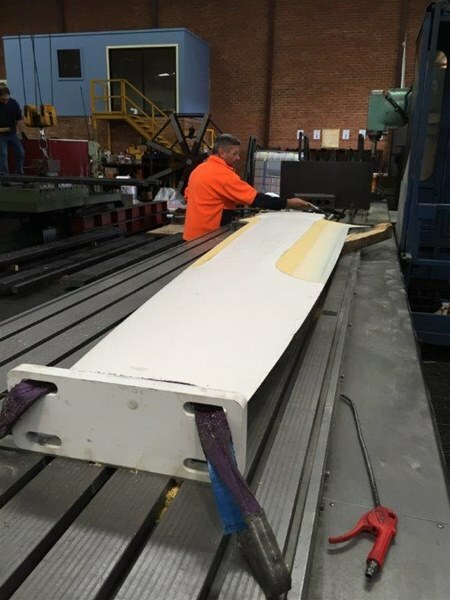 We worked extended hours and weekends to get the boat back in the water, ensuring that the boat was in a position to make the trip to Hobart and back. 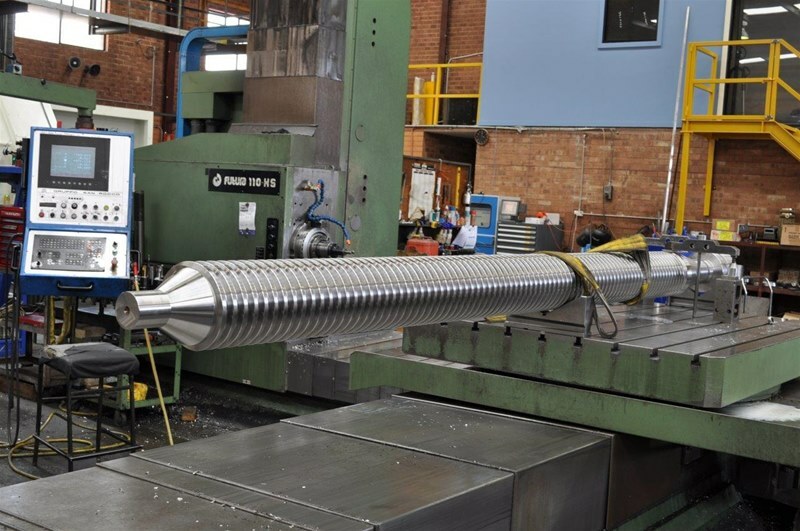 All of the components were manufactured out of exotic materials and as a result proved a challenge to acquire, however the team at Williamson’s got them in time. The job was completed and the 100ft Maxi Yacht was back in the water to meet the race officials requirements. After a successful race the boat and team finished third. There are already talks of Williamson Tool and Engineering making further modifications for the 2014 race. 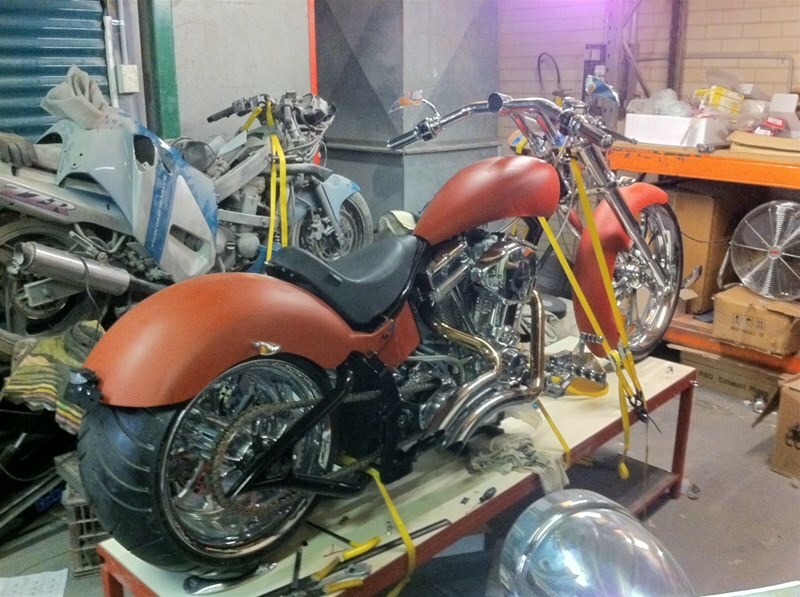 Williamson Engineering are currently building their third custom chopper. 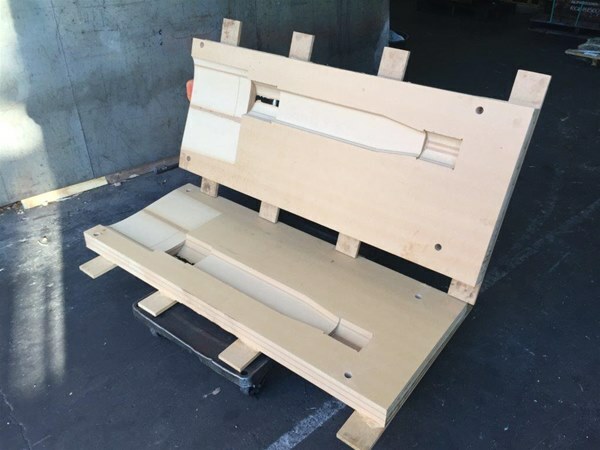 This build is proving a challenge due to the extreme custom configuration. 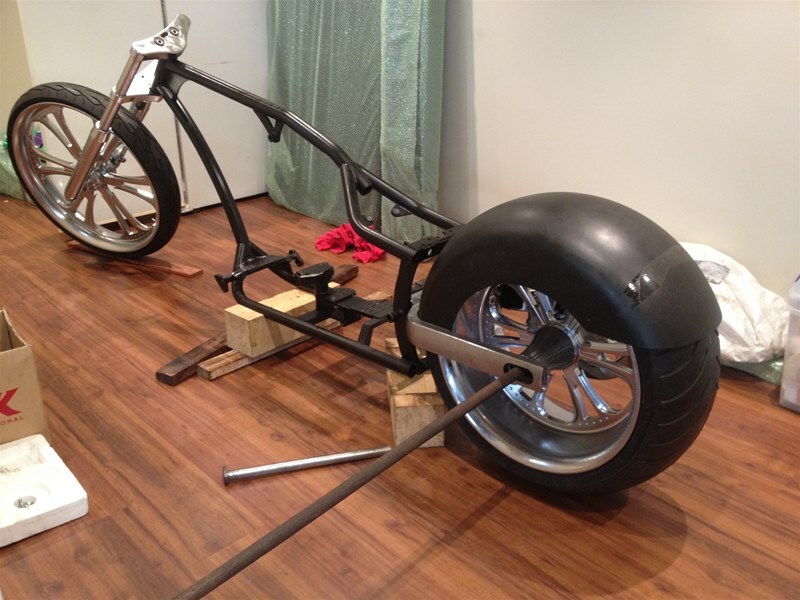 With a huge 20 inch dia rear rim and a massive 26 inch dia front rim and its long lines it is shaping up well. 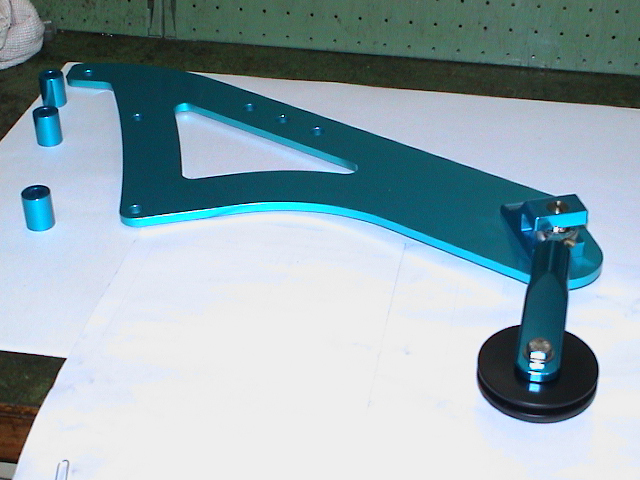 The complete custom billet swing arm has just been completed. 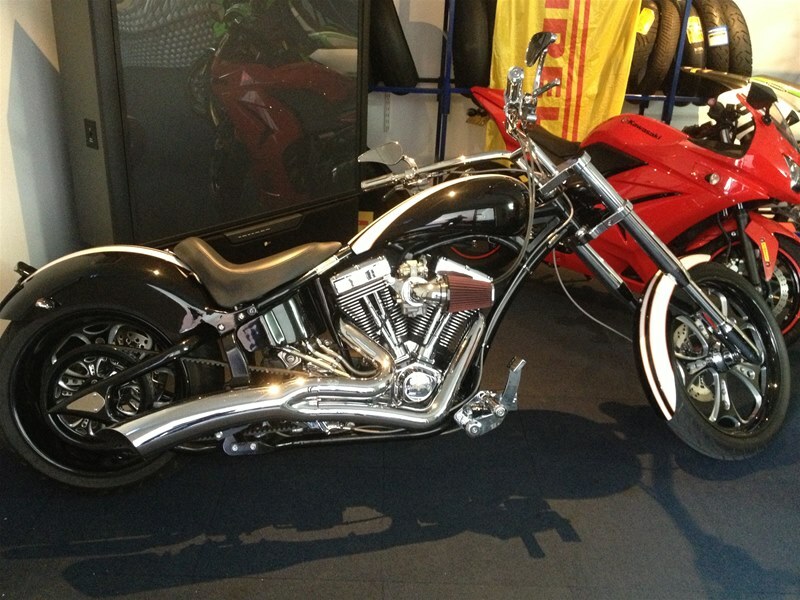 It is hopeful that it is on The road in March 2014 We are also manufacturing various custom components for a large variety of cruisers to customers specifications. 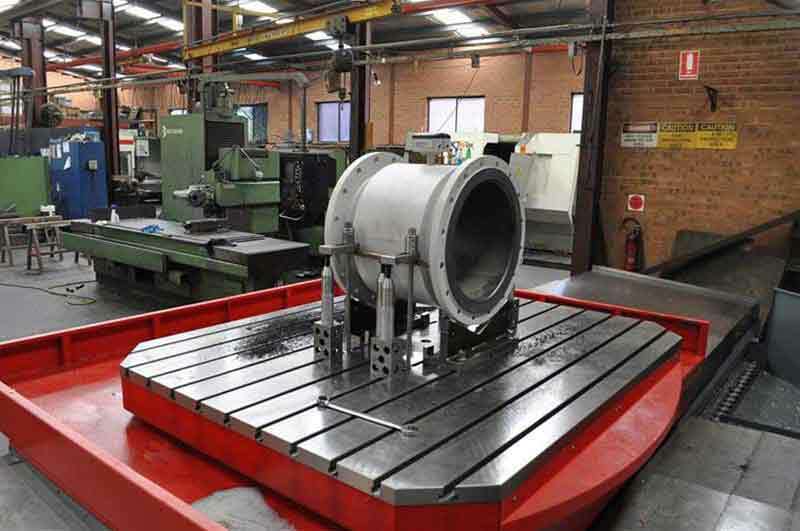 A conveyor drum weighing approximately 5000kg being machined after fabrication in our large CNC lathe. 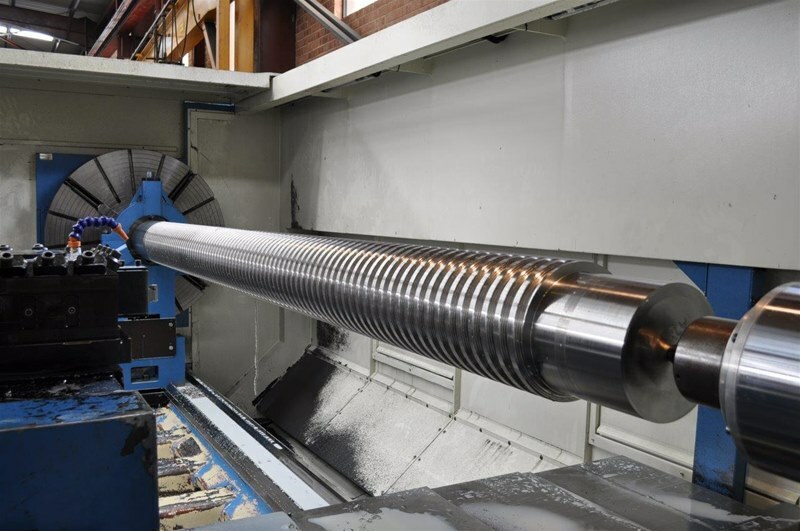 Once turning is complete they will go on one of our CNC horizontal borers to be drilled as per drawing. 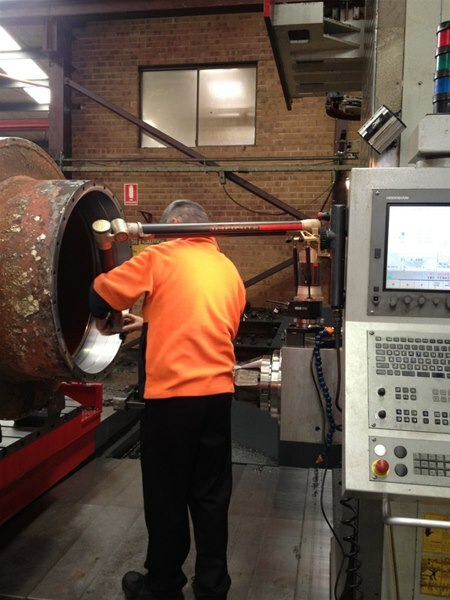 We are also manufacturing the shafts that the drums are fitted to. We machine all shapes and sizes of rums / pullies. Please call or email if you have something in mind we may be able to help with. 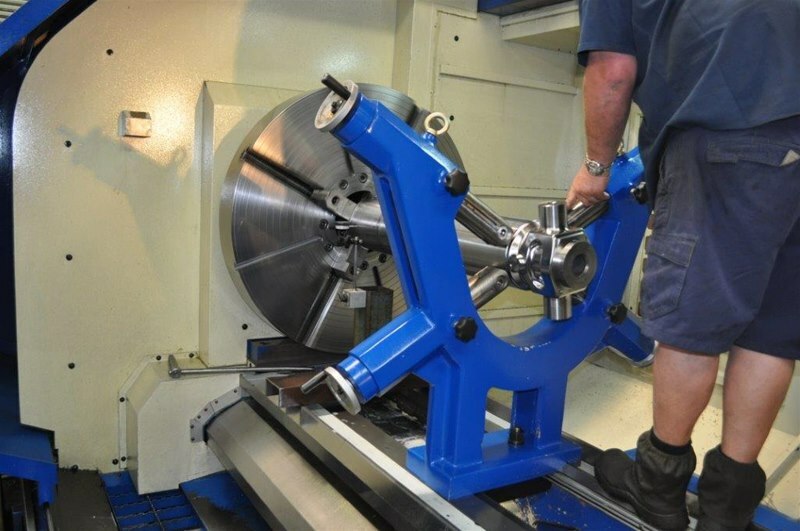 Williamson Tool and Engineering just completed 2 cylinders purpose built for a racing yacht in Spain. 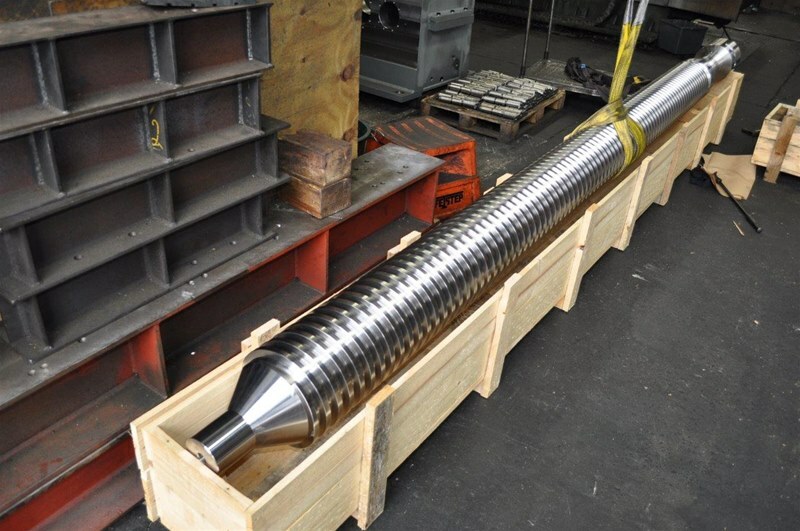 The cylinders were made from and exotic high strength Stainless Steel. 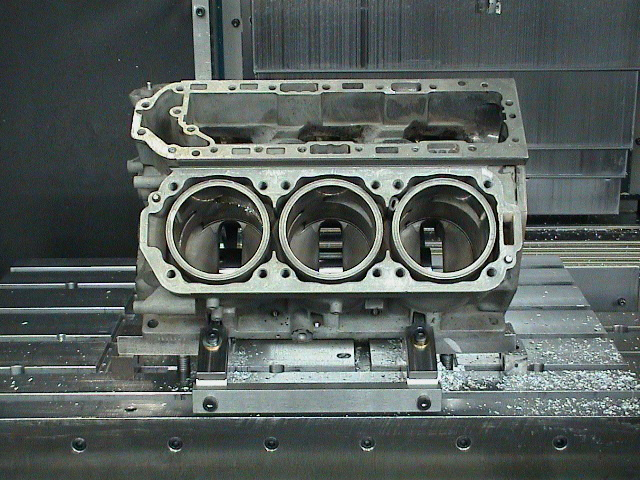 Once the forged blanks were receipted at our workshop we got straight to work machining them all over keeping in mind the final surface finish and dimensions were critical and had to all be within tolerance. 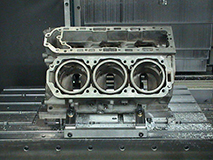 We also manufactured all other components for the complete cylinders. 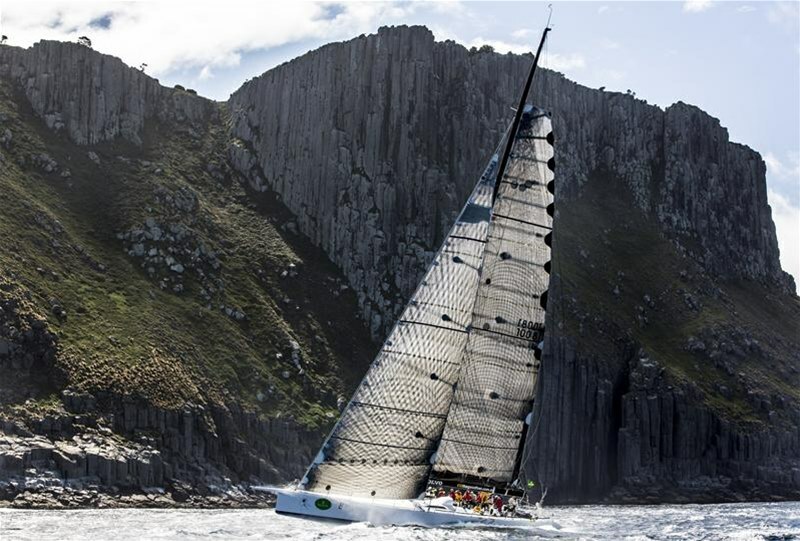 Another similar project currently being worked on is for a Sydney to Hobart Yacht Ragamuffin 100 that will compete in the 2013 race starting on Boxing day. 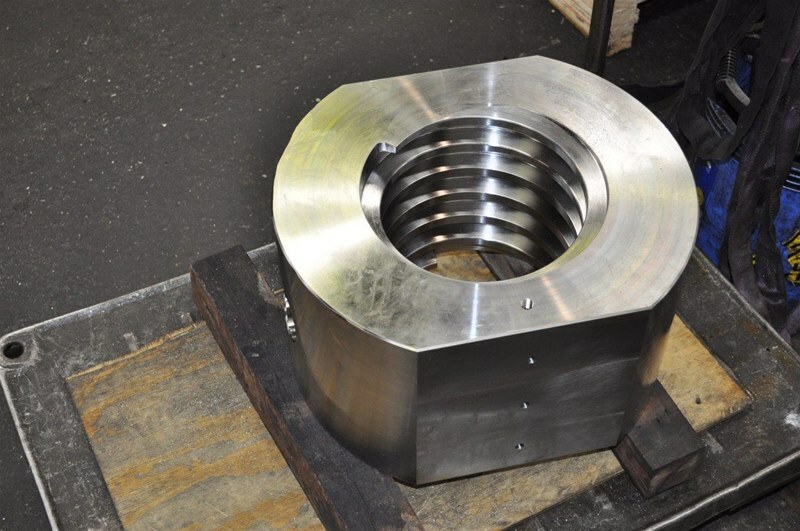 The photos of the purpose built hydraulic cylinder barrel are another example of Williamson Tool & Engineering's Capacity and capabilities when it comes to exotic and precise components. 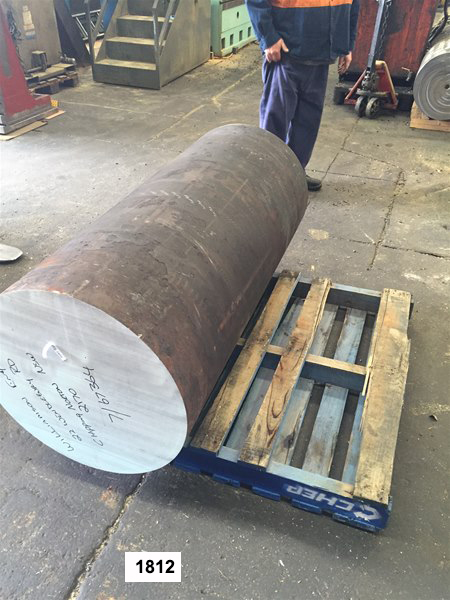 This cylinder is one of a pair that will be fitted to a racing yacht to cant the keel. 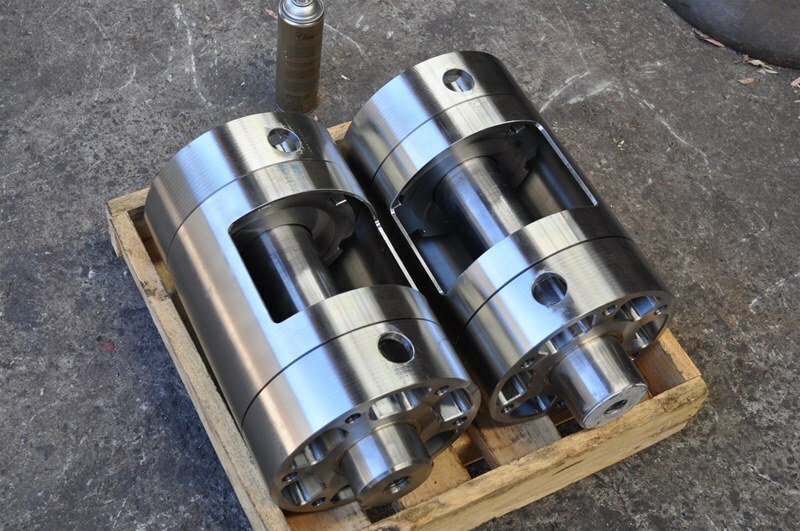 We have been involved in many of these cylinders along with many other custom parts for the marine industry such as Keels, Bulbs, Special studs and bolts, thrust housings to name a few. 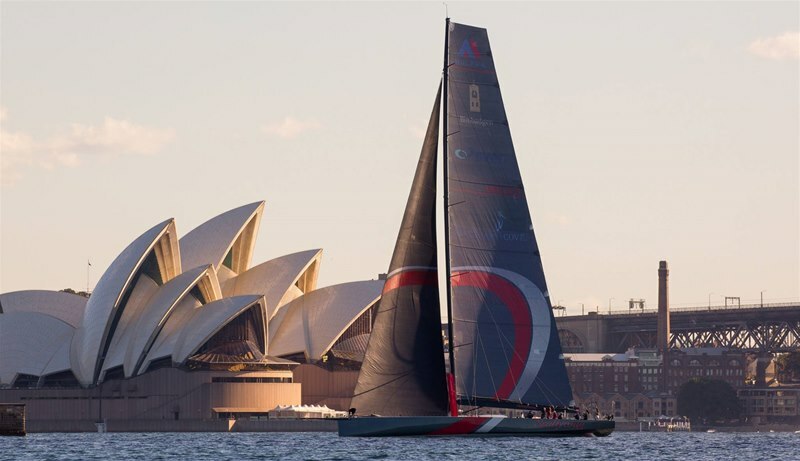 A great deal of our parts have ended up on Maxi Yachts that have either won or finished in the top 3 spots of the Sydney to Hobart. Other races we have been involved with are the America's Cup and the Volvo around the world race. 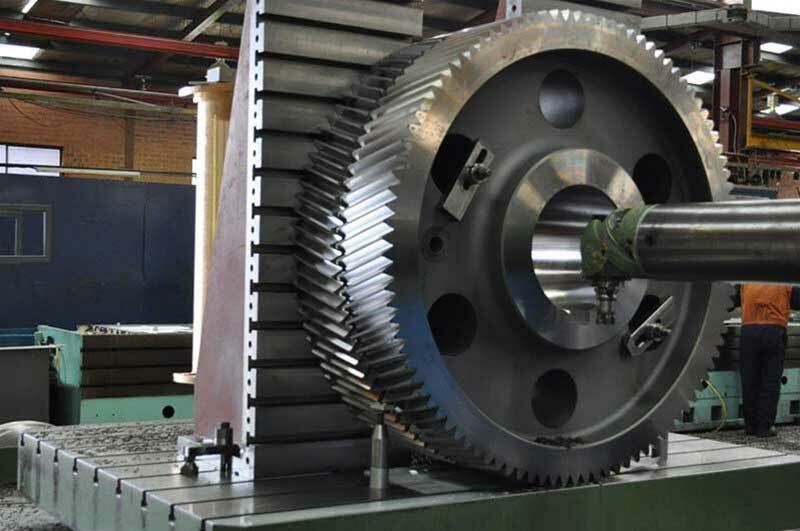 Recently Williamson Tool & Engineering completed a number of internal Keyways on various shapes and sized precision gears. With our vast range of up to date and modern equipment we have the capacity to cut internal keyways in bores from 80mm upwards. 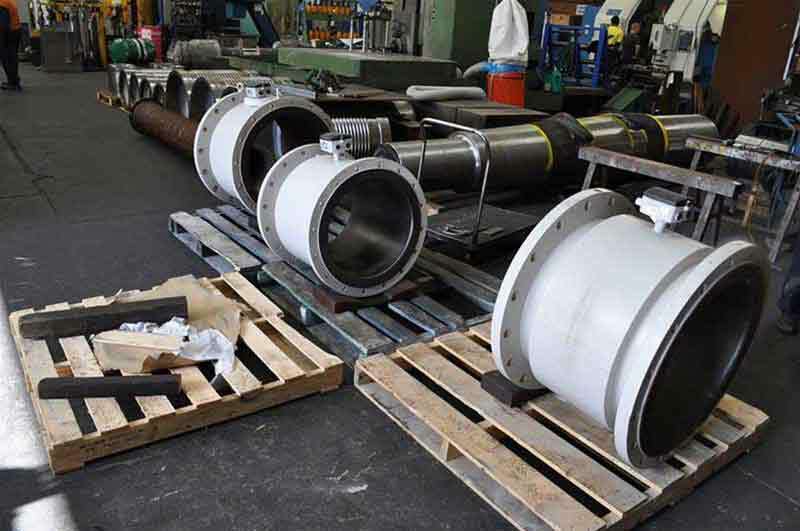 We were recently requested by Siemens to check , record results and rectify some flow valves that were incorrect. This job was required in a mad rush as the valves were part of a computer system that looked after Cloud Data Storage. 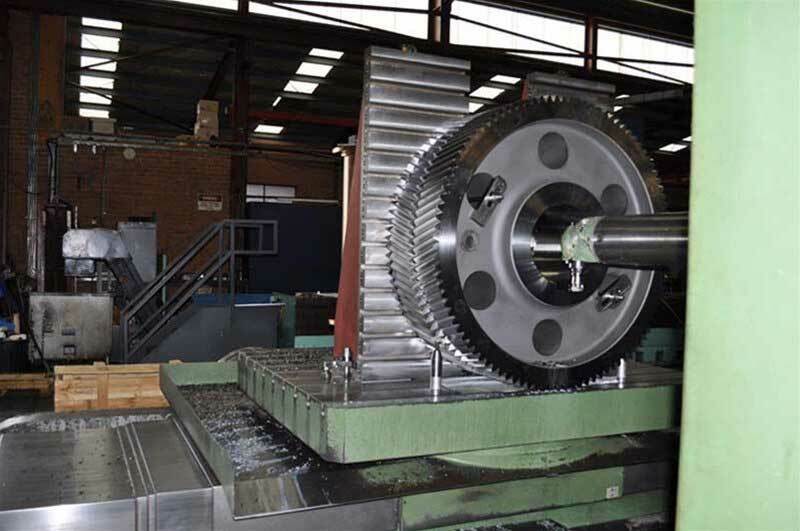 © 2015 Williamson Tool & Engineering Pty Ltd. All Rights Reserved.